Some of the anglers fishing aboard the Lady K during a weekend afternoon trip take a moment to display their catch as the drift is reset. The Yellow-tail snapper action has been picking up for anglers fishing sardines on drift rigs and for those fishing light spinning tackle in-conjunction with small jigs. These tasty snapper will average around one pound although fish up to four pounds are being boated on a regular basis. Lady K junior angler, Saber, was fishing for Yellow-tail snapper when he hooked and landed this beautiful six pound Cero Mackerel. Cero Mackerel are a tropical mackerel that inhabit the home waters of the Lady K during the summer months. They are excellent table fare and can be easily identified by their black dorsal fin and long golden line, dashes and dots. These fish will take small jigs, free-lined chunk baits as well as feed on baits being retrieved back to the boat. 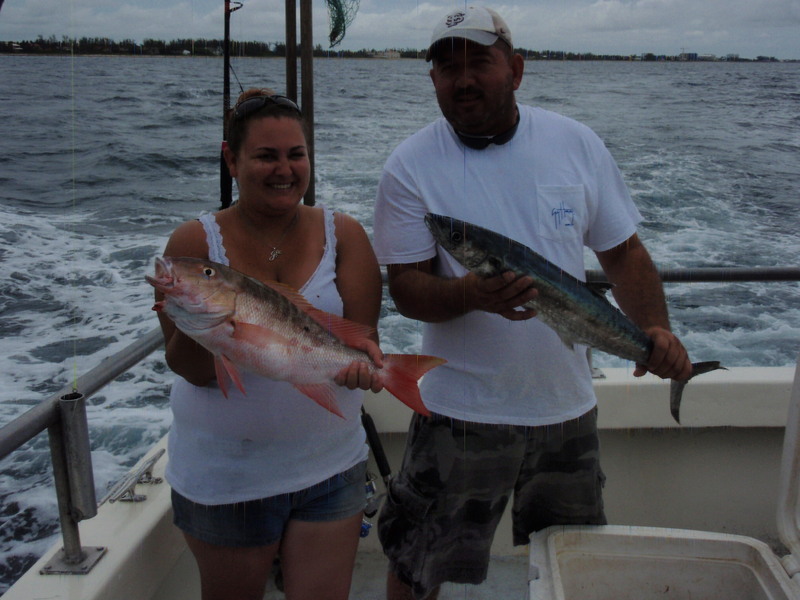 Jessica shows off her Mutton Snapper next to Robbie’s King Mackerel. 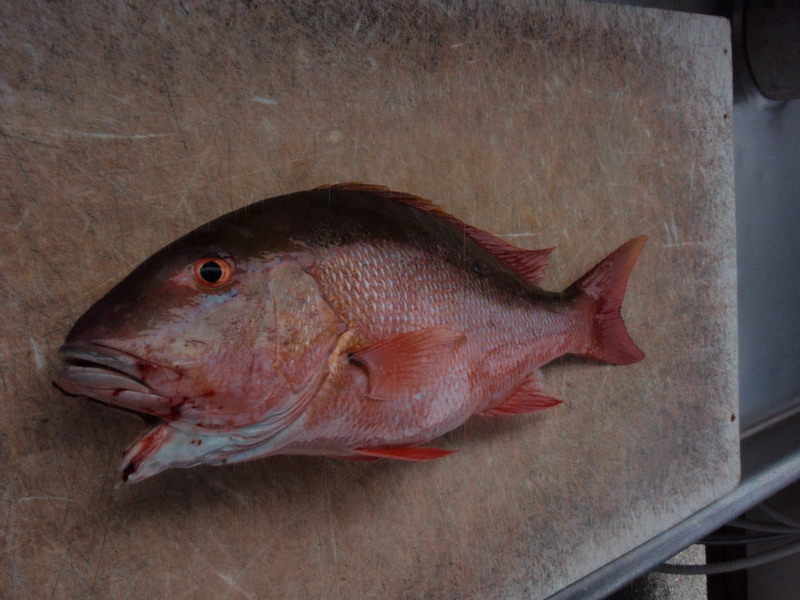 Mutton Snapper are being caught by anglers spooling the bottom using sardines. To learn the technique of spooling, ask one our experienced crew members to teach you this easy and productive method of bottom fishing. 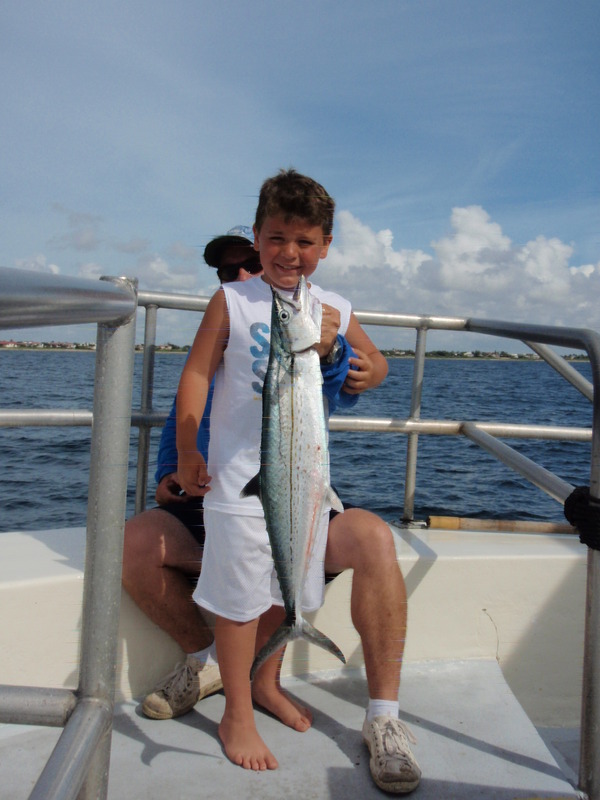 The King Mackerel are widely scattered but are being caught by anglers covering all depths of the water column. Snap into summer and plan a trip aboard the Lady K for a chance to bring home some savory snapper fillets for dinner or have them cooked up for lunch at the Kona Bay Cafe located right at the dock. 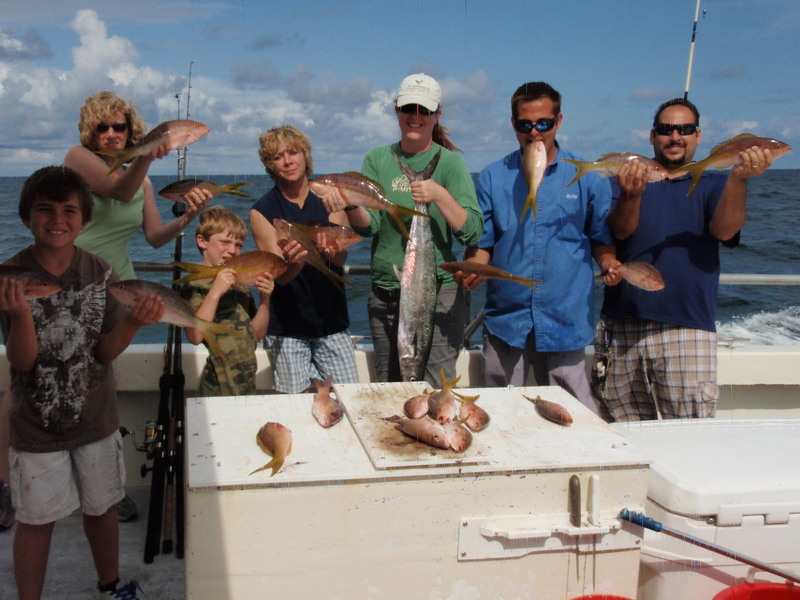 No reservations are needed for any of our three daily trips, just come on down to the dock, purchase your tickets and enjoy a four hour fishing trip on the tropical blue waters of the Atlantic ocean. Tight lines and good fishing!